It all started with high school. Until yesterday your child was an angelic kid and now, all of a sudden, they’re prepared to argue about anything, they only think about having fun and experiencing intense and improvised emotions, as if on a roller coaster. 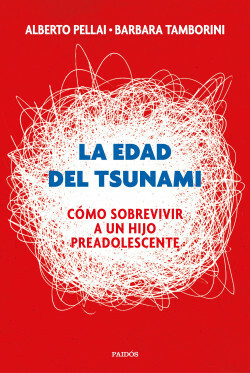 The tsunami that’s hitting you is called pre-adolescence, and just so you know, there is no cure, but there is a secret to surviving it: understanding what’s going on in an evolving brain. Barbara Tamborini and Alberto Pellai, experts in developmental psychology and parents of pre-teens, will introduce you to the wonders of this age and give you the right advice to find a channel of communication that at the moment seems impossible. A practical guide, with many useful examples on how to deal with change and look for new ways of communication. It also focuses on parents, incorporating self-assessment tests to discover what things they could modify to improve the bond with their children.